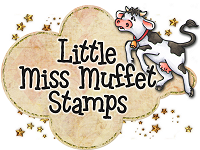 Tales from Pollycraft: Secret Stamps Candy... to mark 1000+ Followers!! 10 Prizes!! Secret Stamps Candy... to mark 1000+ Followers!! 10 Prizes!! Well... we did it!! we are over the 1000 followers mark!! HUGE thank you's go to every single one of you!!! In order to celebrate reaching this FABBY milestone... I'm offering a few Candy Prizes for some VERY lucky winners!! This prize alone is worth over £40!! 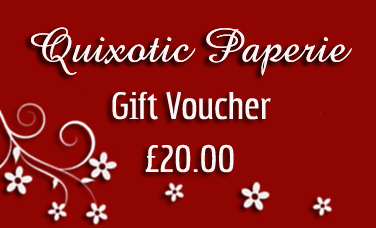 I'm also throwing in a £20 voucher from Quixotic Paperie so you can buy yourself some yummy bits and bobs to help you create with your new stamps!! of their choice from the Pollycraft shop!! Fancy winning one of those prizes?? wow what fab candy i added the picture to my blog. fab candy i added the picture to my sidebar thanks for the chance to win. Wow a great candy. Congrats to 1000 Followers. Thanks for the chance to win this fantastic candy. What a generous candy! Thanks for the chance to win. I've posted the details in my sidebar. Congrats to 1000 followers. Congrets with your 1000 followers !! congrats on your 1000 followers and what fab candy...thanks for the chance to win. Congrats and thanks for the chance to win these fab goodies! Wonderful candy and the sneak peeks look lovely! I have just put a post about your candy on my blog and have put your pic on my sidebar too. Fantastic candy, really looking forward to seeing the new stamps! Congrats! Thank you for the chance to win this wonderful blog candy! I'd like to participate too... thank you for the opportunity! *wow* what a fab candy!! and i put it on my blog!! Great candy! I've posted the picture in my sidebar. Hi Paula, what a huge celebration, I think I'm already loving the yummy sneak peek! Will ofcourse spread the word and thanks for a wonderful opportunity. Wooohhhwww what a gorgeous candy!!! I posted it on my sidebar and now I'll keep my fingers crossed!! Thanks for the chance to win these great prizes!!! HUGE congratulations on soooo many followers, how fantastic and very much deserved! Just added your candy piccie and link on my sidebar. Such a yummy candy Polly and thanks for this chance to enter, posted in my side bar. Huge Congratulations on 1,000 + followers. Amazing achievement. Thank you for the chance to win one of these fab prizes. I've linked to my sidebar. congratulations...you worked hard and I LOVE my Pollycraft images...so we are both happy. Added candy to my side bar on blog and linked back. Congratulations to all the follower. Congratulations on reaching 1000+ followers Paula. Here's to the next thousand lol :) It's all posted on my sidebar. Posted it on my blog candy page. Congratulations on the 1000+ followers! Thanks for the fabulous candies and the higher chances of winning! I posted the badge on my blog sidebar. Looks like a wonderful secret...hope you share with me! lol I added the picture to my blog! YUMMY prizes and I have this on my sidebar! Thanks for offering! I can't wait to see the new stamps! Congrats on reaching 1,000+ followers...that's awesome!!! I have posted this on my sidebar...thank you so much for the chance to win your fabulous prizes. I'm excited to have almost 20 followers; I don't know what I'd do with 1000! Congrats! Candy candy candy, we all love it, thankyou for the chance to win. Have posted the pic. WOW, what a fab candy! Congrats on all your followers. I´ve posted the details in my sidebar. Waw, that the prize I shouldn't miss. You are now on my sidebar, what an awesome amount of blog candy! Wow, what an amazing candy!! Looking forward to the new designs! Congratulations and thanks for offering these great prizes. Good luck everyone - the piccy is on my sidebar. Whoohooooo Paula can yah BOOT me till this stamp candy is over ;) then I join the Pollycraft Dt again ;) hahaahha I wanna make a shot on this!!! totally awesome prize!!! Congrats for! This candy's amazing and I'm definitely in. Thanks for the chance! omg No wonder the DT girls are waiting in anticipation, the wee sneaky peek looks adorable. congrats for so many followers!!! and this candy is jummie!! such a fabulous candy Paula, you are so generous. Good luck to everyone. This is so great!! Hope to win and cross my fingers!! Thanks!! I add the picture and the link in my sidebar! Wow! That's a lot of lovely prizes!! I've added the picture to my blog! Congrats on 1000! I've added your link to my sidebar. This is such a wonderful CANDY.. thank you for the chance to win.. it is a lovely prize.. I just happened along your site and am here to stay ! Love it... thanks so much ! Wow, what a big candy. Woohoo! Great candy.... thanks for the chance to win! I've posted the details in my sidebar. Looking forward to seeing the new stamps! What generous candy - thanks for the chance to win. Such fabulous blog candy - I added this to my blog. Congratulations on your 1000+ followers!!!!!!!!! Looks like some fab prizes. your picture is on my sidebar. Congrats on so many followers. I've added your details to my sidebar. Thanks for the chance to win some fab candy! woow ! thats a great candy ! thanks for this chance ! Big congrats on reaching 1000 followers +. Thank you sooooo much for the chance of winning some of this wonderful sweet sweet candy! Hi Paula, Congratulations on over 1000 follower you so deserve it with all of your wonderful creations. Thanks so much for the chance to win this wonderful candy and I have posted these details on my sidebar. Congratulations! Thanks for the chance to win such great candy! Hope I get lucky on this one! Congrats on 1000, thanks for the chance for goodies!! What a great candy. I put a pic and link at my sidebar. Thanks for the chance. Wow! Now taht is some real candy! Wow - the sneky peek looks fabulous. Can't wait to see the new line. Thank you for a chance to win gorgeous candy that doesn't effect the waistline :). I added the picture to my blog. All that Great candy and NO CALORIES!!! That is a great candy. I really appreciate this. I posted it on my sidebar. Amazing candy, thank you for the chance to win. WOW! awesome candy hunni, congrats on 1000 followers! The link to your candy is in my sidebar!! Ohhhh wow really awesome candy! Lots of prices.. fingers crossed! The sneek peak is really awesome and so cute so I cant wait what the stamps will look like. Hi, what a great prize, I just posted your pic on my blog sidebar with a link to your site. oh congratulations - fantastic to know that so many people are clever enough to spot the fantastic designs at Pollycraft. Over the moon to hear that new stamps are on the way. Love digis but you can't beat a bit of ink now and again - well all the time really. Wow...sweet prizes! Thank you and congrats! This looks amazing! What a fab candy. I have linked you in my sidebar! This looks amazing thanks for the chance to win. I have put your link on my sidebar. Can't wait to see the new stamps! Awesome candy - thanks for the chance to win some! Thanks for the chance to win! Awesome blog Candy! Congratulations on 1K followers! And Thank you for your generosity with the Prizes. I love Pollycraft images. Wow! How fun and how very thoughtful of you! Thank You so much for the chance to win this very nice gift! Awesome candy!!! Thanks for a chance to win this awesome stuff!!! That's really generous! I'd looove to win it. Congrats to your 1000 followers. I've linked your photo and your link to my sidebar. Wow Congratulations on 100 followers! Thanks for the chance to win some of the candy! WOW, huge about of followers. Congratulations on so many followers. I've added the candy to my blog. Oooh how exciting, another new release from Pollycraft to add to my collection!! Thanks for the chance to win such fabulous goodies, I have linked you in my sidebar. What wonderfull candys, i added the picture to my blog. Thanks for the chance to win. What a generous candy! Thanks so much for the chance to win. I posted it on my sidebar. Paula, I have posted on my side bar...what amazing goodies to be won. Congratulations on 1000+ followers! I'm happy to spread the news on my PCP page and excited to have a chance to win. Thanks. Congrats on 1000 followers, it's a great blog candy. i have posted about it on my blog and in my side bar. Wow this is some incredible candy you have up for grabs! I am not at all surprised that you have so many followers and I am soooo excited to see the new stamps. Wow, love your stamps, so what great candy! I added the picture to my blog. I am Casoer, Pleased to meet you! Great site & amazing cards by the Dt. Thanks for the freebie & this amazing chance at great blog candy! Wowww ive only just found this blog and its fantastic,DT cards are absolutely stunning....Thanks for the chance to win your yummy blog candy and added it to my side bar to spread the word, will certainly keep popping back! Thanks for the chance of winning this genorous candy. Wanted to become a follower BUT there seems to be a problem !!! I have shut down my lappy twice now ! Oh Wow! I can't wait to see those new stamps - the sneak peek looks amazing. Thanks for the chance to win such fab candy. What generous blog candy and congrats on 1000 followers! Thanks for the chance to win! Thank you for the chance at the sweet candy! I've posted on my sidebar. I've been a follower of the challenge for a while, but have just become a follower here. You have some awesome candy out here & a lovely blog too. I've followed you. Congrats on your still increasing number of followers and thanks for a chance! 1000 Followers! That's brilliant, congratulations, and many thanks for the chance to win the FANTASTIC candy. WOW what a very generous prize. I have added my picture ! WOW this is great!!! I just have to participate! Hi! Wow, you´re really generous! Wow! It's a great candy!!! What lovely candy - have got so much inspiration from this site too - thanks for giving us a chance to win some for my cancer charity fundraising - will keep my fingers crossed for this lovely stash! Tha Candy is fab! I am so lucky to come across your site, as your images look fab, going to have a peak over at the store. wow 1000 followers ....well done and thank you so much for the chance to win some fantastic blog candy... I have put a post on my blog and a link in my side bar. hi, This candy is so cool! :D! thanks for the cnahce to win :)!!! OMg, that sneak peak looks very tempting! Thx for the chance to win that gorgeous candy! Wow...1000!!!!! Congratulations! nice candy, thanks for the chance!!! Boah... what a great candy... I linked it in my sidebar, thanks for chance to win it!!! Lovley candy...Would love to win, Im new to card making..This is all new to me..
Congrats on your followers milestone and thanks for the chance of some amazing candy! I've added the pic to my sidebar. I've linked your candy in my sidebar here. Oh MAN... how awesome is that!?! First of all your 1000+ followers and secondly, that candy is to die for!!! Thanks so much for the chance at winning it! Looks great! Thanks for the chance to win. Here’s my link. Wow what a generoys CANDY! Congratulations on so many followers. I've added your details to my sidebar. Thanks for the chance to win some fabulous candy.